BEAUTY: FACE WIPES - FRIEND OR FOE? Quick, easy and cheap, it's no wonder that face wipes are so popular. Up until recently I always used face wipes to remove my makeup but I've been seeing a lot of hate towards them and I couldn't understand it, so I thought I'd do a little research and find out why! Ok, so I've basically already covered the good above. Face wipes are a lazy girls (*cough, cough me! *) holy grail and something they would probably struggle to live without. They're nice and cheap, easily accessible and with sleeping with your makeup on being so bad for your skin, it's probably better for you to grab a face wipe to remove it rather than do nothing at all right? Not always! Probably one of the biggest reasons I've found not to use face wipes is the fact that they don't always remove ALL of your makeup and you could be just moving dirt and oil around the skin leading to clogged pores and, therefore, dreaded spots! Face wipes aren't an alternative for a cleanser and if you find that you have to use face wipes you should still follow with washing your face, or at least splashing you face with water to remove any excess dirt. Some kinds of face wipes contain alcohol which is a big no-no when you've already got dry skin. I've actually got quite dry skin so you can believe my horror when I realised that I could actually be causing even more dry patches on my face rather than preventing them. 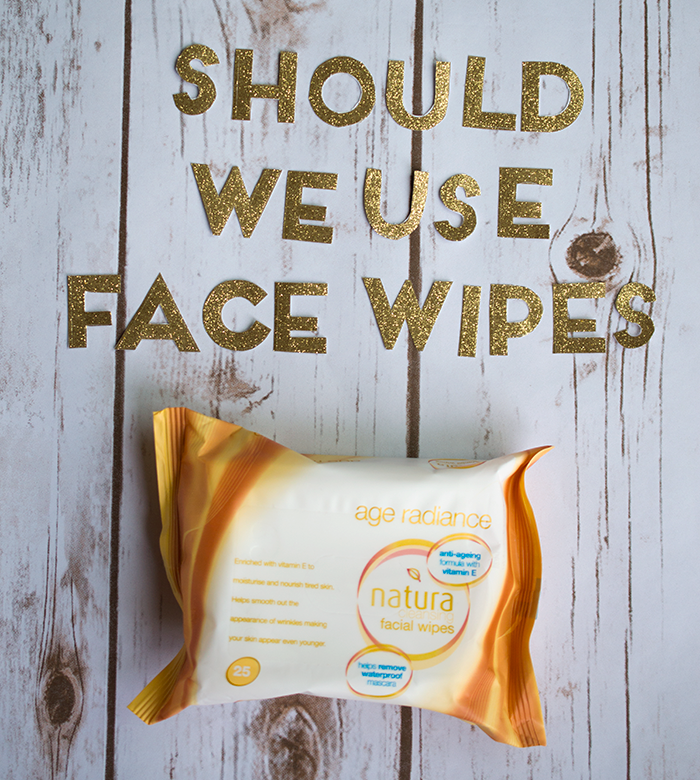 If I have to use face wipes in the future I'll certainly be making sure that I opt for an alcohol-free pack like Simple Kind to Skin Cleansing Wipes. The last bad thing, and something I had totally never thought about before, is that they can potentially cause premature aging. We've all been there when there's that stubborn waterproof mascara that just won't come off, so you find yourself pulling and tugging at that delicate eye area. This can cause your skin to sag which is something that we all want to try to avoid. I now understand why people are starting to turn their backs on face wipes, and can't believe I've been so naive to it until now (what a poor excuse for a beauty blogger). I never once thought that I could be doing more bad than good by using them. But let's be realistic, I'll never totally stop using them, they are still easier to travel with and they are still easier to keep in a drawer for when I stay around Seans house. But I'm definitely going to make a conscious effort to use an alternative method to remove my makeup in the future.